Dr Liebert is a Psychiatrist Phoenix, Arizona. As a Master of Psychopharmacology from The Neuroscience Education Institute of University of California, San Diego, he maintains a private practice to combine his experience and skills in psychopharmacology and psychotherapy of a wide spectrum of emotional and behavioral problems. His special interests in practice include complex mood, impulse and anxiety disorders for both adult, child and geriatric populations. He was recently awarded The Perciball Pott Virtuous Surgeon Award from McGill University Faculty of Medicine. On the civil side of the law, Dr Liebert has also evaluated and testified in hundreds of Involuntary Civil Commitment Hearings in California, Wisconsin and Arizona. His "hit rate" averaged over 50% for extending detention an additional two weeks and requiring patients to take medication against their will. He has served as psychiatric consultant to the King County Police Department in Washington State for serial murder cases, including the "Ted" case (Ted Bundy); Green River Murder Case (Gary Ridgway); "The Charmer Case" (George Russell) and The Bellevue Sniper Case (Carl Harp). He served as Psychiatric Consultant to the Atlanta Police Department in the Atlanta Child Murder Case (Wayne Williams). 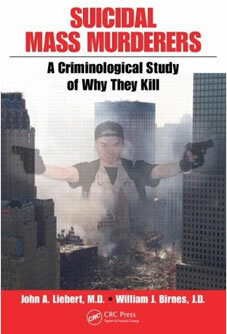 He has published on the subject of Serial Murder, "Contributions of Psychiatry in the Investigation of Serial Murder", International Journal of Offender Therapy and Comparative Criminology and Mass Murder-Suicides, Suicidal Mass Murderers, A Criminalogical Study of Why They Kill, (Taylor & Francis, CRC Press). Dr Liebert is a graduate of The US Air Force School of Aerospace Medicine and served as a Flight Surgeon in charge of Human Reliability Program for transportation of nuclear warheads worldwide. His duties during the Vietnam War took him to nearly every "free-world" country in the world during the Cold War; only recently has the Top Security Status of his mission with Military Airlift Command been lifted. Having been drafted following a busy county hospital rotating internship that included Surgery, Medicine, Obstetrics, Ophthalmology and Emergency Medicine, Dr Liebert had already acquired a lot of experience manning a busy county hospital ER by himself in San Jose, CA. His military training and experience added to this experience with the principles and practice of Triage. 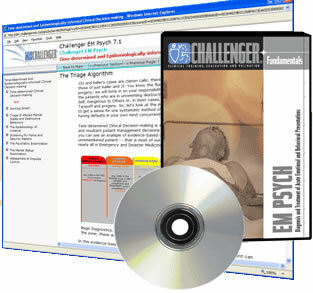 And, later sub-specialization in Neuropsychiatry enabled him to combine the rules and knowledge bases of Medicine, Surgery and Neuropsychiatry into an Expert System for Computerized Clinical Decision Support of both Interview and Workup in high volume patient-flow settings like ERs; this extended to clinical decision support in prehospital management, transport and mass casualty incidents. His recurrent training at Hunter Air Force Base Nuclear Weapons School and pre-medical course in "Nuclear Physics for Electrical Engineering" at University of Wisconsin alerted him early on to the needs for both Preparedness and Disaster Medicine. For that reason he developed The Digital Clinician ®, a Computerized Clinical Decision Support System for the work-up and Triage of patients for all points of entry into the healthcare system, including Acute and Urgent Care Clinics; Emergency Medical Services; Jails; Telemedicine presentations; Combat and Disaster sites. He presented the Brian Buss Memorial Lecture for the Oregon Psychiatric Society in 1995 and was then invited to speak on the subject again at The Royal College of Psychiatrists Annual Meeting in Torquay, England. When presenting at Grand Rounds in Wisconsin just prior to 9/11, the Chief of Staff commented, "you have spent your entire career in the field of violence; this has been one of the longest sessions we have had here at this hospital." WausauHospital, August, 2001. His clinical interests had developed into association between psychological trauma and problems of impulse control - namely violence, whether to self, as suicide, others as violence or both, as murder/suicide. Shortly later he saw the events of 9/11 shockingly unfold before us in the psychiatric dayroom! Dr Liebert then went on to ContraCostaCountyHospital in the EastBay area of California and presented, "Triage, Pre and Post 9/11" at their Grand Rounds. This would be the halfway mark in his locum tenens (temporary service assignments) nationwide; he has worked in nearly 50 different clinical sites from Eastport, Maine to San Diego between 1995 and 2008. The vast broadness of his locum tenens experience, both geographically and clinically, was probably the major motivating factor in his focusing on Computerized Clinical Decision Support of Workup and Triage, because that is what he had to do at every new site, all with different protocols, missions and documentation systems. The last included all legacy electronic medical (EMR) and health (EHR) records. He currently works with McGill University in the integration of Computerized Clinical Decision Support System into it Telehealth program and is an active member of CTel, Center for Telehealth and e-Health Law (CTeL) a national organization dedicated to the progress of Telemedicine.